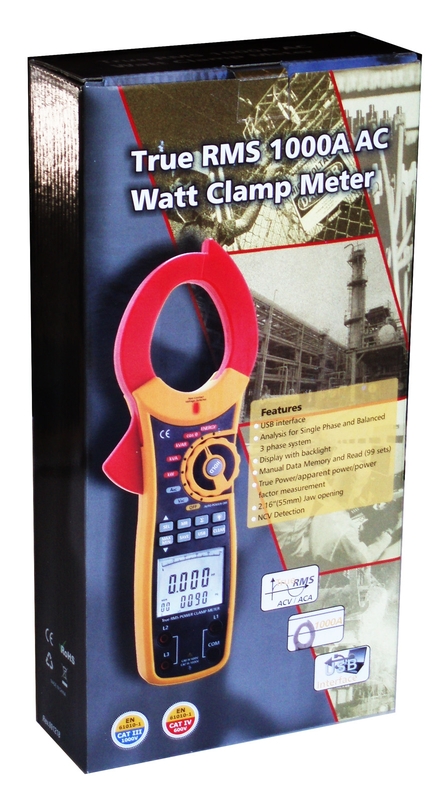 This is a brand new DT-3353 industrial clamp meter from Ruby Electronics. This top-of-the-line clamp meter is loaded with AC power measuring functions. 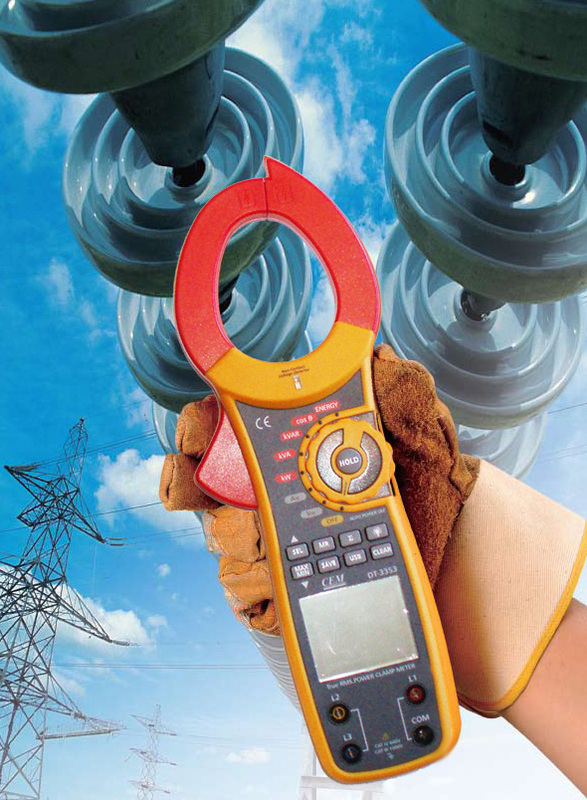 DT-3353 does not only measure AC current up to 1000Amp, but also measure AC power up to 750KW. DT-3353 works for both single phase and 3-phase systems. The measuring functions include true power, apparent power, reactive power, power factor, phase angle, frequency and energy. 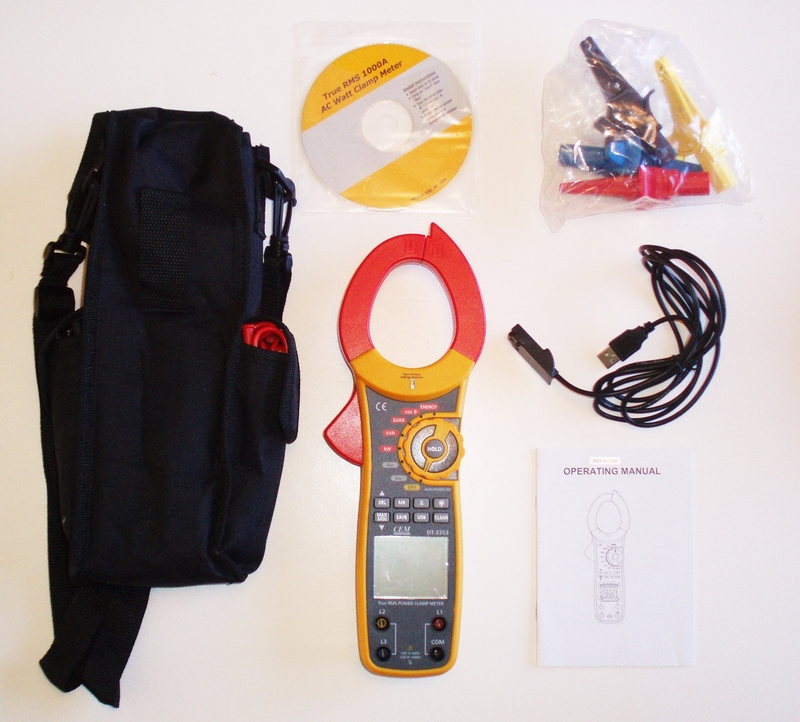 Its diversified measuring functions make this meter the best choice for serious electrical technicians. 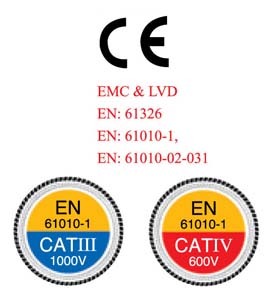 This meter is CAT III 1000V and CAT IV 600V rated. This device is compact and portable. It comes with batteries pre-installed. A heavy duty carrying pouch is included to protect your device when working in the field. *** Warning: This device is to be used by the certified technician only. All safety regulation should be observed when testing high power circuits.